A black and white photograph of the the Whitby Boy Scouts Rally. The First Whitby Boy Scout Troop was formed in 1920 and sponsored by All Saints' Anglican Church. 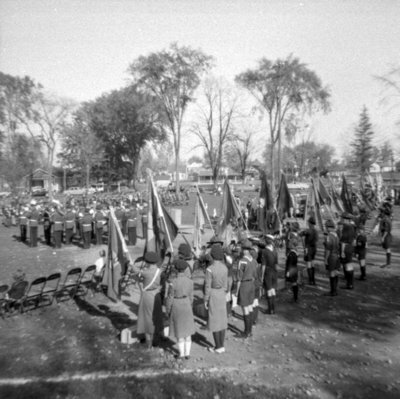 Whitby Boy Scouts Parade and Rally, October 1958, Brian Winter. Whitby Archives A2013_004_335.